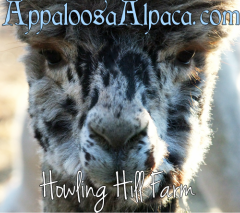 Howling Hill Farm is proud to own one of the most diverse collections of Harlequin Appaloosa alpaca genetics in the United States. Pictured here is the female portion of our Harlequin Appaloosa herd. Celest is a harlequin from very rare lines. She is unrelated to most other harlequins breeding today. 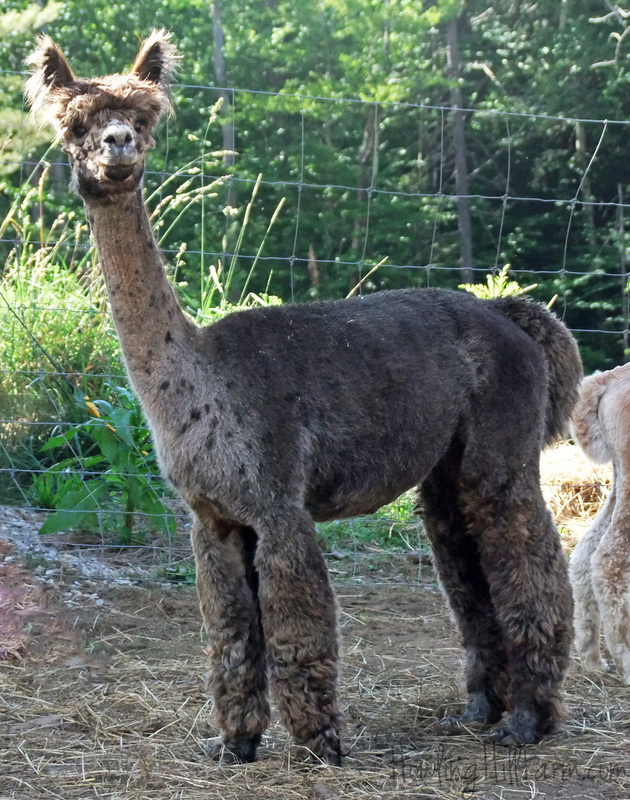 She is an easy keeper with a compact build and fine, dense fleece with a high-frequency crimp style. Hali is a very dramatically-marked leopard appaloosa. Her sire is an extremely unique harlequin grandson of Aussie Colorado Dillenger; the remainder of her pedigree is a unique blend of rare Chilean and Bolivian genetics. Hali is a petite, square female with a beautiful face. Her fleece is extremely fine and bright with a high-frequency crimp. Maxine is an ultra-dark silver grey classic harlequin. Her lines are extremely rare in harlequin breeding circles. 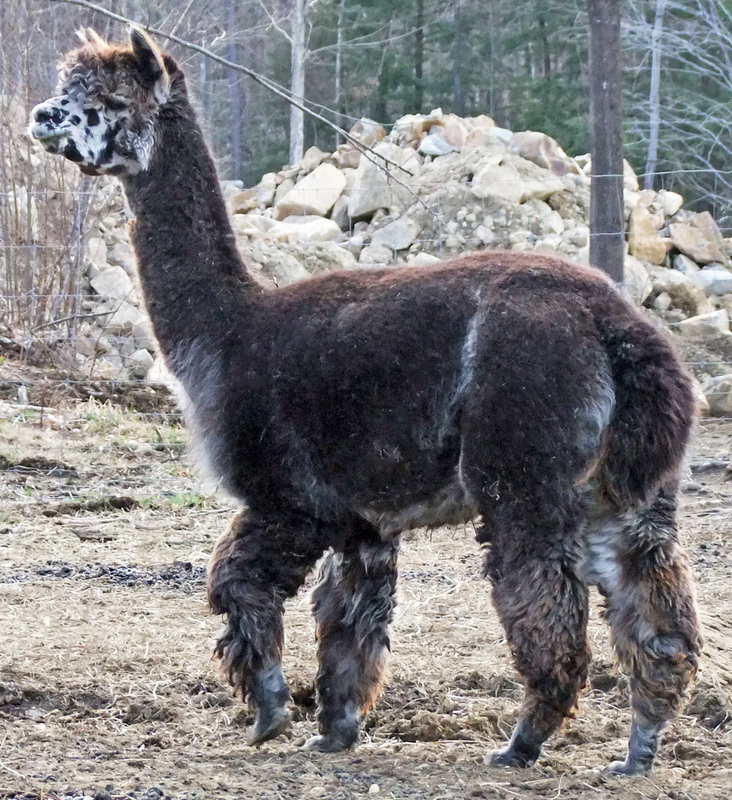 She is a daughter of multiple-champion Reverend Mr. Black, and she is out of a daughter of the little-used harlequin import herdsire Peruvian Century. 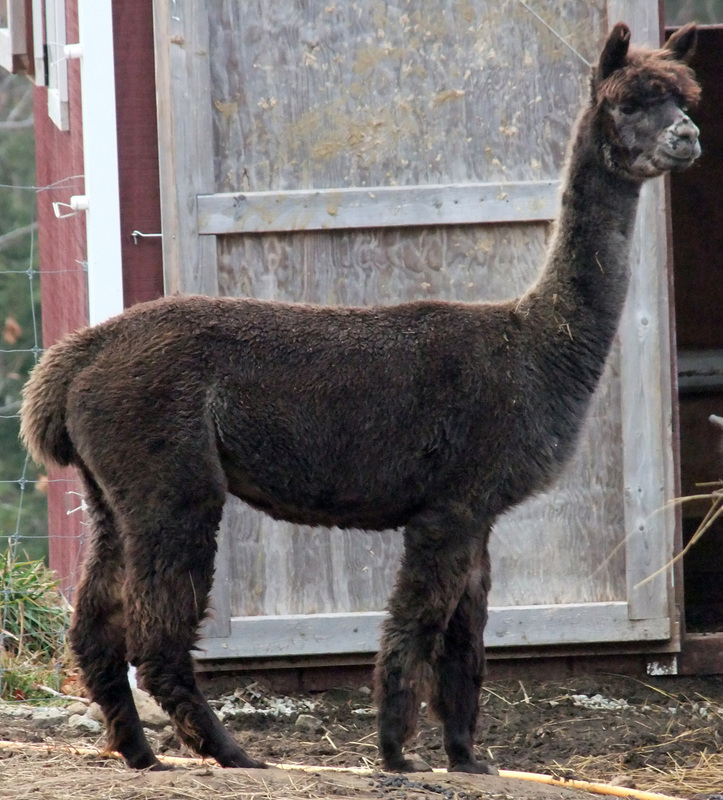 Maxine is a large-framed, correctly conformed female with very dense fleece and a high-frequency crimp. Her first cria, Howling Hill Cheetah at Cards, is a knockout harlequin with elite fleece, who we are retaining for our program. Maxine has been sold; congratulations to Annie Hunt of Willow Wind Farm! 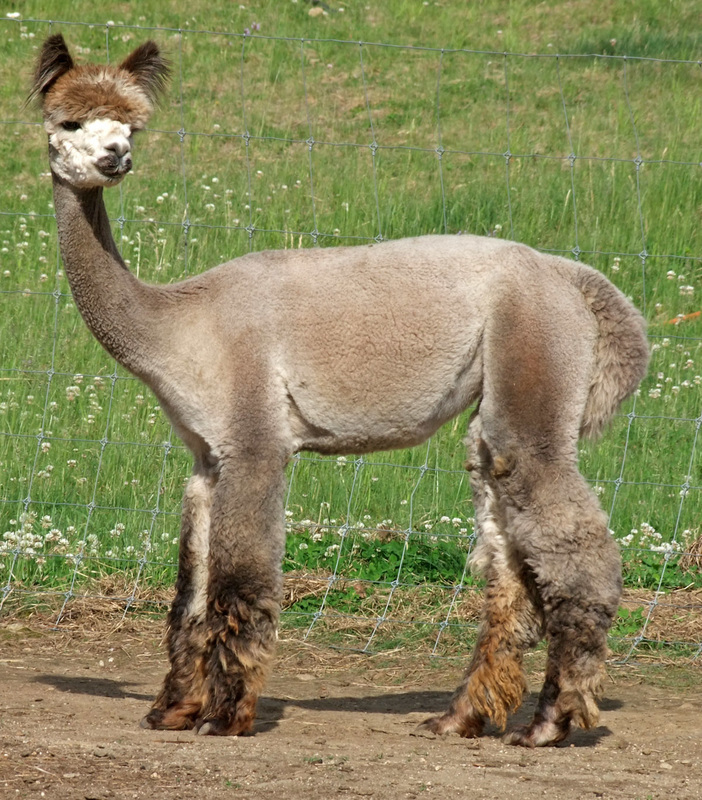 Whisper is a granddaughter of one of the greatest grey alpaca herdsires ever to stand stud, El R Luciano. 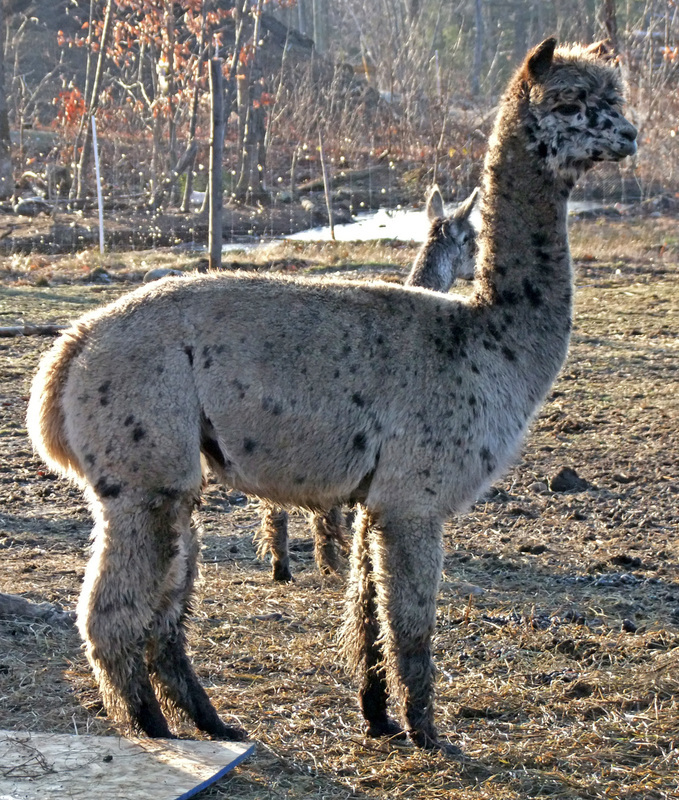 Luciano was a tuxedo grey who carried the harlequin gene, and as such, he has had a major impact on both the tuxedo and harlequin appaloosa alpaca herds. Whisper is a beautiful female with a gorgeous head and incredible staple length. She also happens to be our favorite variety of harlequin: the solid platinum. Ella is a spectacular harlequin appaloosa who traces back to Peruvian Platinum through her dam side. She is a large-framed, heavy-boned girl with perfect conformation and a beautiful face. She is very outgoing and performed in educational outreach before joining our foundation herd. Sassy is among the best classic harlequin females in the country! She is a show-ring champion with an undefeated show record. Half-sister to our Ella, she is also a descendent of Peruvian Platinum. She is squarely built with fantastic coverage and breed type and one of the densest fleeces on our farm. Starr is a stunning example of the totally spotless, solid rose grey harlequin phenotype. She is also a stunning example of the breed type that our farm is striving for -- perfect head, amazing coverage, terrific bone and a square, ultra-compact frame. These are traits she shares with her dam, our incomparable Sparky. Through Sparky, Starr traces back to Magnifico. Her fleece is very dense and has a wonderfully soft hand. 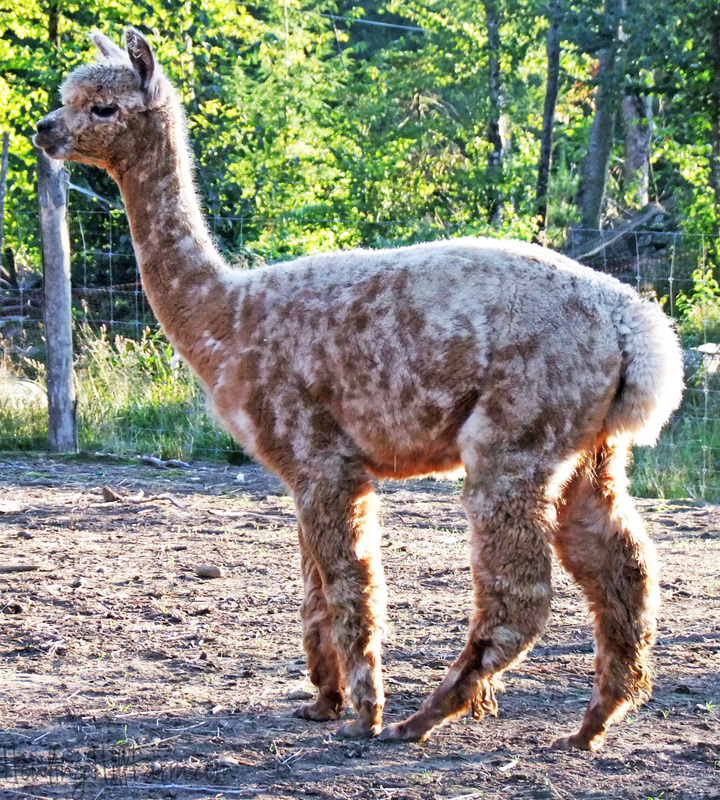 Sparky is a truly one-of-a-kind alpaca. She is a classic harlequin with perfect breed type and build. She also has the most wonderful, outgoing disposition and is the farm "greeter" and queen of the paddock. Best of all, she passes all of these fantastic traits on to her offspring with amazing reliability.